Space located in the heart of East Village. 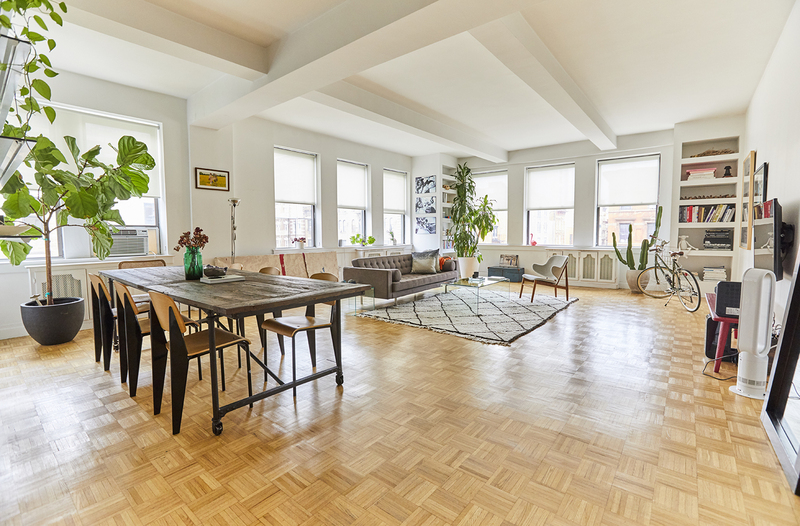 This 2,000 square-foot apartment sits on the 4th floor offering a bright and tranquil space with an abundance of flexibility and functionality suitable for a multitude of production uses. The open kitchen, two bedrooms, work area, dining area, and elevator access makes this space perfect for any project. We work with you at every step- before, during, and after- to help make your vision a reality with the highest level of quality and service. We handle all the logistics so you can focus on what really matters. Each space has an on-site representative. We have a hands-on approach and are here to assist you if needed. Once you book the space, our representative will be available on-site during the entire production, making sure your experience is seamless. Amenities include elevator, full open kitchen, Sonos audio systems, high capacity WiFi, meeting/screening area, magnetic wall, furnished, full bathroom, 18 windows, diverse movable decor objects.